Since the traffic is far less murderous than in larger Southeast Asian cities like Ho Chi Minh City, Hanoi or Bangkok, getting around Vientiane is generally easy. Though in the centre more and more signs are appearing, street signage is rather lacking. Besides tuk tuk, traveling by bus is also popular, even more convenient. If you want to travel by bus, how to catch them is the first thing to know. 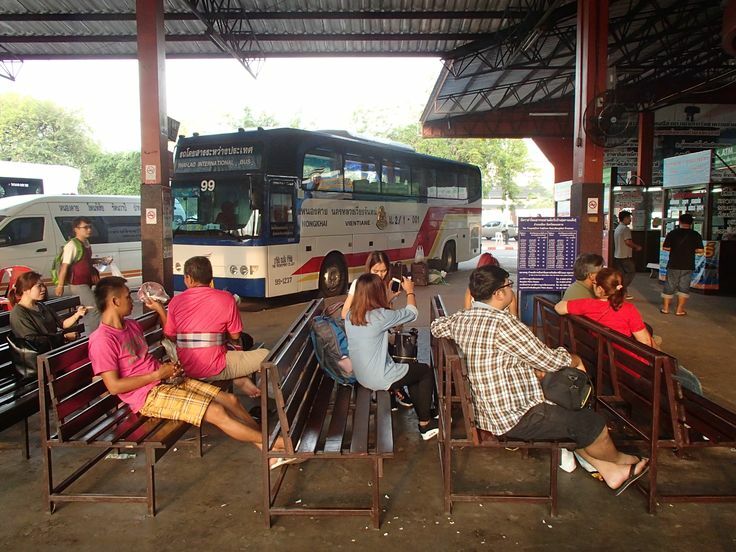 Situated next to the Morning Market (also known as Morning Market bus station), the central bus station is the originating point of all buses running in Vientiane city and surrounding suburbs. The city buses are 25-seat, 45-seat and small electric vehicles looking like sightseeing buses. 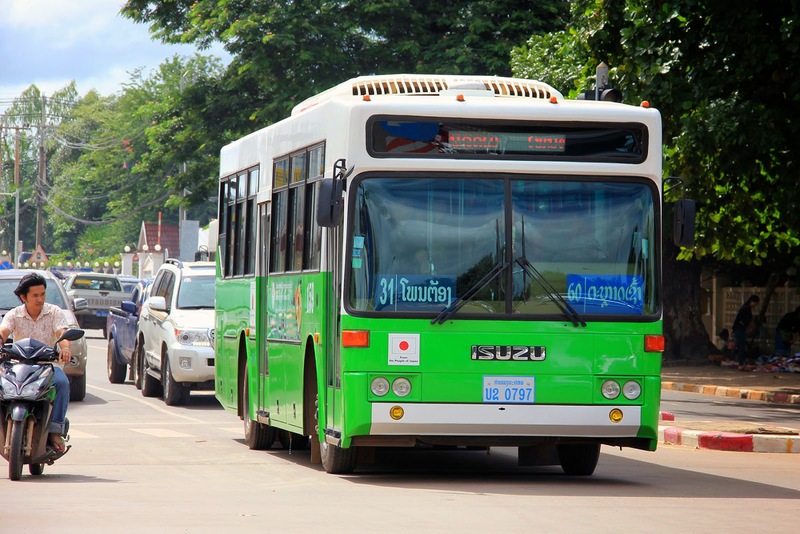 25-seat and electric buses run within the city and on the shorter routes while the air conditioned Japan-donated 45-seat buses (green-white) are mostly used for longer distances such as to Thangnon, Thalat, the Lao-Thai Friendship Bridge and Dong Dok (National University of Laos). Depending on the routes, fares for city buses ranges from 2,000kip (US$0.25) to 6,000kip. Please check out the Vientiane Capital State Bus Enterprise (VCSBE)’s website for full bus fares and schedules. For city buses, you needn’t purchase ticket in advance but pay (cash) on board to the driver or his assistant. Although a plan is in place for an electronic ticket/payment system, at the moment, there is no prepaid fare system in use. Hopefully in the near future, it will be in use. 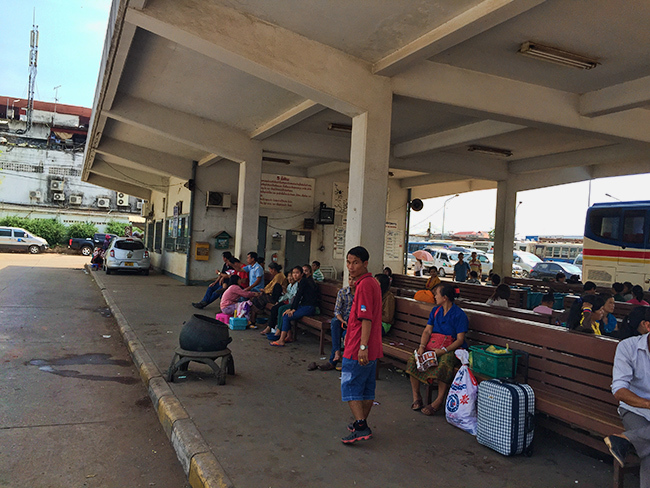 For popular routes like the Lao-Thai Friendship Bridge and Dong Dok, there is a bus every 15 minutes while for others, every 20-30 minutes. The service is more reliable and there are more people using it now than in the past although during rush hours, delays may occur. Even though some lower passenger demand routes have fewer buses and have shorter service hours (start late and end early), the service often begins at 5:45am and ends at 6:00pm every day. 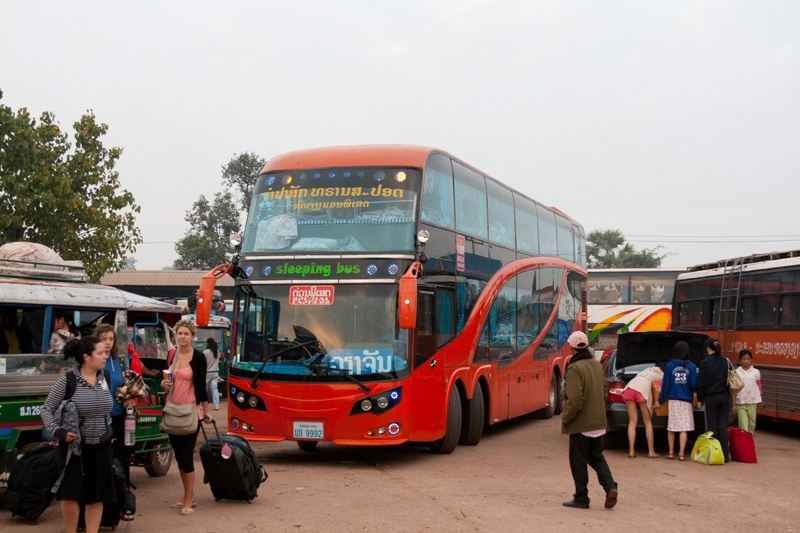 How easy is catching buses in Vientiane? As there are no clear signs to follow (at the bus station), it still can be confusing even though the new buses are marked both in Lao and English. The best and quickest way to find the right bus is to ask staff at the ticketing windows. What about catching the buses at bus stops? Even though a number of bus stops (with seats and shelters) have been constructed in recent years, because buses do not always automatically stop at the bus stops, most do not get used much. And at most bus stops, do not expect to find bus route maps or timetable. All you need to do to catch a bus is just wait at the bus stop or somewhere on the roadside, and stick out your hand to wave the bus down to give a sign to the driver. When you want to get off, same can be applied – just let the driver know when you want to get off. Between stops, flag down a bus is acceptable. 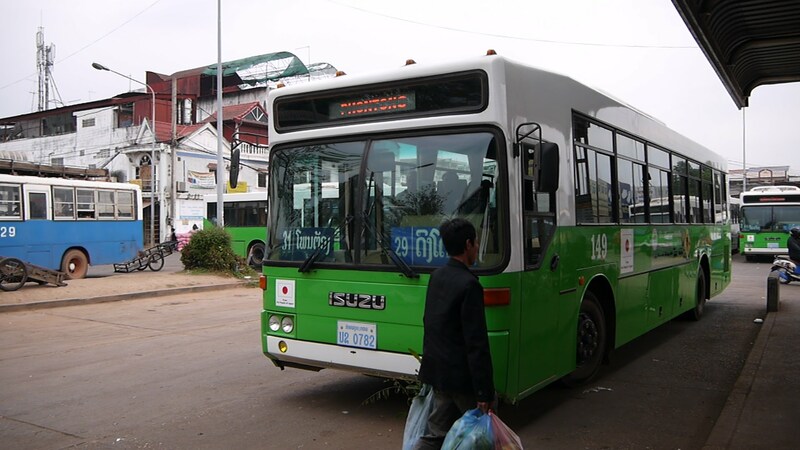 As buses in Laos are not very frequent especially in suburbs, it is a common practice. Missing one then you should have to wait for such a long time for the next bus. That is one of the reasons why most drivers are not so strict. Catching a bus in Vientiane is a good way to observe the ways of life of the local and gives you a difference perspective of Vientiane although it might not be your most exciting experience. It is also safer, cheaper and much more comfortable than traveling by tuk tuk. Do not hesitate but give it a try!